Lifting weights and riding my bike. I like to compliment my training by eating well and keeping my gut healthy. A nice variety of food, with plenty of colour is essential. In terms of fitness, I’d say disabled athletes are pretty incredible. They are dealt a bad hand, but don’t let it get in the way of achieving their dreams. I also love going for long Sunday walks alone with a podcast! I find it sparks my creativity. I try to make sure I make time for my own personal goals outside of work. I believe you have to draw the line somewhere or you can become completely consumed by your 9-5. I also like to allow myself naughty foods. (When not prepping for any competition) But try to limit it to one day a weekend. I don’t believe it is healthy to deprive myself completely of foods that give me pleasure. Obtain my Permanent Resident visa for AU, design an app and visit the great wall of China. My bucket list is huge, picking 3 is hard. How do you live an active life? I live an active life by training at the gym most days going for long walks, cycling. Lifting weights, swimming, dancing, keeping fit is part of my daily life. My biggest inspiration is Andreia Brazier. Spending time with my family and close friends & making memories. I like to go for dinners, movies, catching up with friends or going to new places on the weekend. By making sure I make the time for my family & friends & enjoying the little things in life. 3-Visit the rest of the 7 wonders. How do you live an active life? What’s your favourite way to stay fit? I keep fit and active by going to the gym and participating in various sports. My favourite way to stay fit is going for walks and hikes in nature with friends and family. My biggest inspirations are my parents because they have always worked so hard to provide the best and support my goals and aspirations. Being anywhere by the beach and taking time out for myself definitely helps me totally relax and switch off. If I’m not busy working, I love to socialize with friends and family. Going out for breakfast is one of my favourite things to do and I love trying new cafes and restaurants. I try to find balance in my life by dedicating adequate time and effort to all aspects of my life, such as work, family, social life, health and mental wellbeing. 2- Teach children in a developing countries. 3-Buy and own a property. I always make time to train regularly, because I enjoy it. I like finding new ways to challenge my ability, not just physically but mentally. I like going for a walk with my dogs to hitting a WOD that is so terrible it leaves me breathless lying on the floor. I have so many! 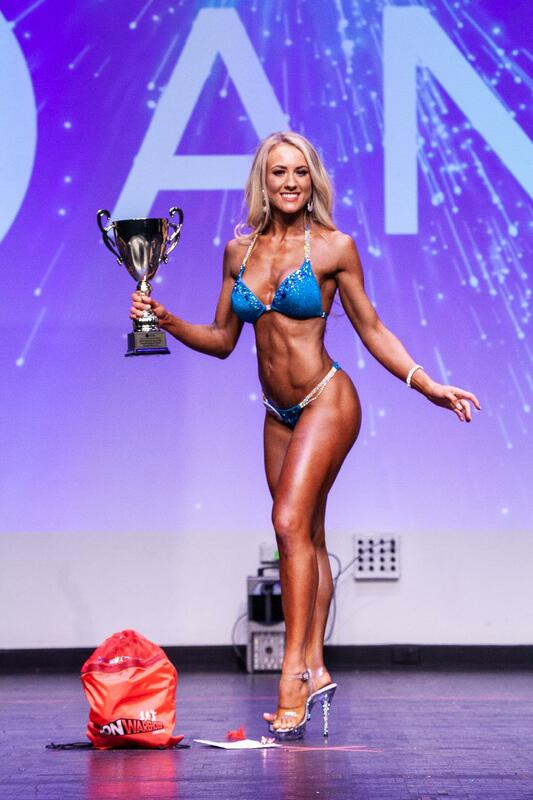 hehe Kara Webb, she is an Aussie legend, one day i will have quads like her! 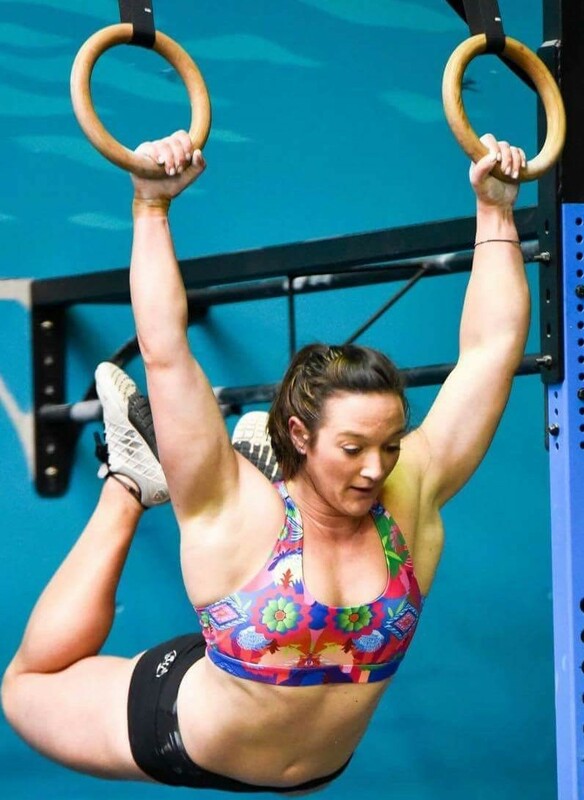 Tia-Clair Toomey, for her amazing achievements in CrossFit and weight lifting… Brooke Ence for her work capacity, she works hard…but also has a heap of fun doing it! But.. My biggest inspiration…my mum, she is an incredible woman, who works, runs a house hold and still dominates the CrossFit Masters Competition. Balance… that is a tough one… I always try to get as much rest as possible, and make it a priority to have me time. Work, Training, Life balance will always be a tricky as one will always be a dominant force and take priority. 2-A wardrobe big enough to hold my she and athletic wear collection in color coordination. I am a personal trainer at inner sanctuary PT and wellness studio in Williamstown North. I work out every day and motivate and bring a fun and excitement to my sessions every day! Boxing – I am obsessed with boxing! I box 2-3 times per week and can go for hours. My biggest inspiration would be my grandma and mum. Both are and have been fit and active their whole lives and still to this day both continue to get to the gym, ride their bikes and walk wherever possible! Explore! I love exploring – hikes, beaches, waterfalls, outdoorsy stuff! I find balance by setting goals – and doing all I can do achieve them – sleeping early, waking up early, relaxing when possible and doing the things I love as well. I love my weight training! I currently train 5-6 days a week and I feel strong and powerful during my workout\’s! I have many!! but Taryn Brumfitt the founder of body image movement. This woman is incredible and inspires me to love myself and love the body I have created! And also, the women in my life, I am so lucky to be surrounded by powerful, motivated women! I love nothing more than heading to a view or the beach, enjoying a coffee and a laugh with a friend! HIKE! I love getting outdoors, there is nothing better than chasing a view on a Sunday! Structure! I live a very busy social, training and work life. Sunday night\’s is preparation/planning night to ensure my week ahead is balanced and as smooth as possible! 3. Build a e-book for women on confidence and empowerment for their bodies! …. pending!